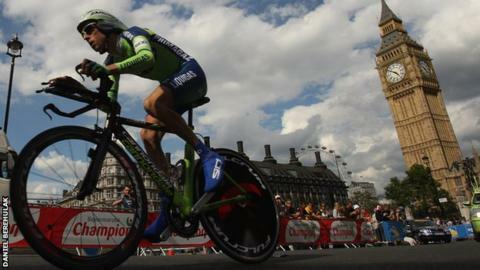 London has turned down the chance to host the start of the 2017 Tour de France, angering the race owners. London beat bids from Edinburgh, Manchester and several German regions to stage the Grand Depart. But last week, a day before contracts were meant to be signed, Transport for London (TfL) said it was pulling out. "To ensure value for money we must make difficult choices," Leon Daniels, managing director of surface transport at TfL, told BBC Sport. "We have always said that the return of the Tour was subject to funding." The timing of the decision has angered the Amaury Sport Organisation (ASO), the French company which owns the race. As the body responsible for all transport policy in London, TfL would have provided the funds for staging the Tour's opening stages. London hosted a hugely successful Grand Depart in 2007 and the finish of the Tour's third stage in 2014. The first two stages of last year's Tour were held in Yorkshire, attracting an estimated four million spectators and boosting the economy by £100m, according to local organisers. TfL contributed £6m to the Grand Depart budget of £27m, which was almost as much as the total for two days of racing in 2007. Given the upfront costs and the prospect of major cuts to transport spending across the UK later this year, it is understood bosses at TfL and the Greater London Authority, its parent body, decided the city could not afford a third visit from the world's biggest bike race. It is believed the 2017 Grand Depart will now be held in Germany, which has not hosted a Tour stage since 2005. The Manche region of Normandy will host next year's Grand Depart, when Britain's Chris Froome will start as defending champion.